KS Connect, the online accounting and outsourcing services arm of accountancy firm Kingston Smith, has partnered with software provider Arthur to create an innovative integrated property management and financial management system for landlords. KS Connect – Property gives property businesses the ability to manage their properties and finances within one real-time online application. The cloud-based software has been created for use by buy-to-let landlords and their advisers. It can be used for residential and commercial property portfolios. Kingston Smith expect established buy-to-let landlords as well as anyone starting up in this field to find the product valuable, especially with the increased filing requirements being introduced by HM Revenue & Customs. 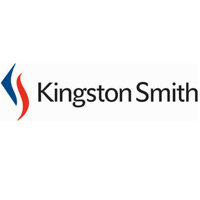 Kingston Smith offers KS Connect – Property clients hassle-free data migration, property management software, accounting and taxation support through a specialist team.